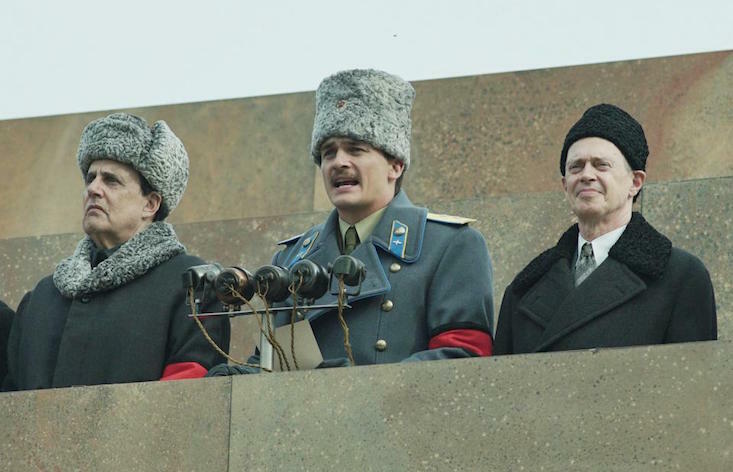 An independent cinema in Moscow could face prosecution for screening British satire The Death of Stalin after the Russian government barred it from theatres. The Pioner Cinema screened Armando Iannucci’s historical comedy to eager crowds on Thursday afternoon. The cinema’s website is currently advertising two showings of the film each day until 30 January. The Russian Ministry of Culture announced on Tuesday that they had withdrawn the film’s screening licence, effectively barring the film from Russian cinemas. In a letter to Russian culture minister Vladimir Medinsky, government lawyers attacked the film as “extremist”. “This film degrades the history of our country,” the letter said. “This supposed ‘comedy’ is an evil and absolutely inappropriate film that vilifies the memory of the [Russian] citizens who defeated fascism,” it said. If the Pioner Cinema is prosecuted, the cinema could be fined between $895—$1,791 (50,000 —100,000 rubles). A second violation could merit a fine of up to $358,000 (200,000 rubles), or a forced closure of up to 90 days.